New Publisher, The Force Unleashed II and more! April fools? 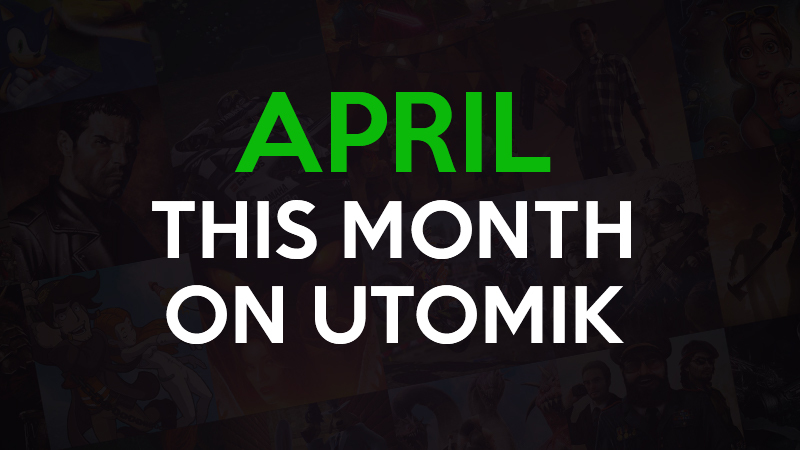 Not really - April is going to be awesome on Utomik. Here's what's happening this month - What are you looking forward to? 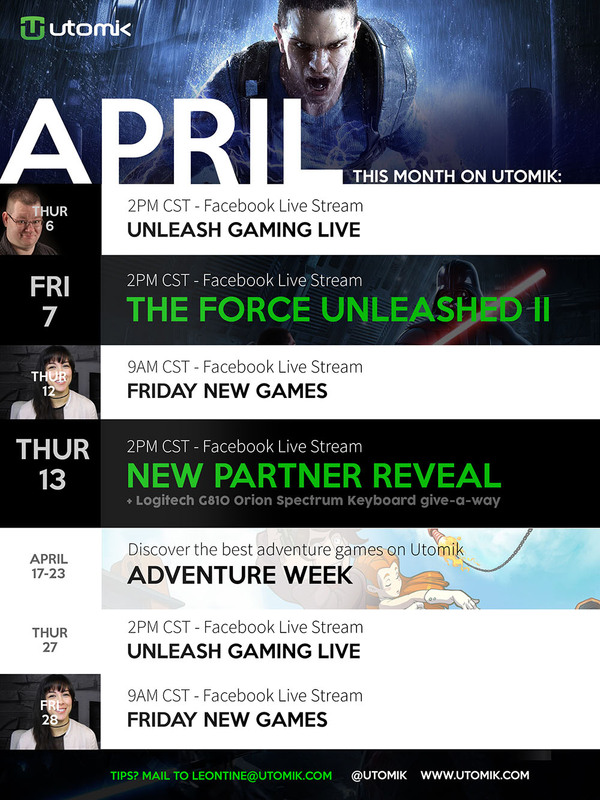 We will do a number of special live streams, including next week when The Force Unleashed II will drop on Utomik. In addition on Thursday 13th we will announce an exciting new publisher that joins Utomik, with some very sweet games. To celebrate we will give away a Logitech G810 Orion Spectrum Keyboard, Utomik shirts and swag away during the stream!